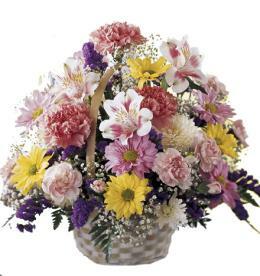 Size: Approximately 32"H x 22"W.
Grace and gratitude combine to create a flower bouquet of warmth and beauty that will wish them every caring kindness. 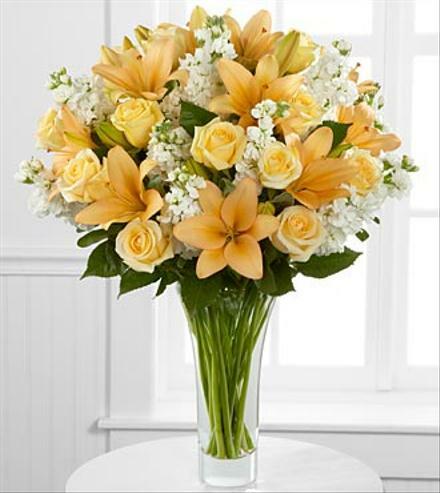 Peach Asiatic lilies, cream roses and white stock stems are beautifully arrnanged within a superior flared clear glass vase to offer your special recipient a flower arrangement that conveys your sincere admiration with its sophisticated style. 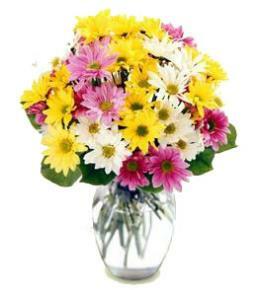 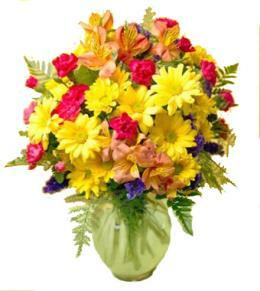 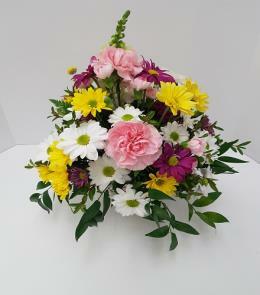 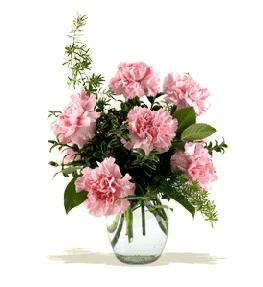 Includes 16 stems of roses, 12 stems of stock, 8 stems of Asiatic Lilies and a superior flared clear glass vase. 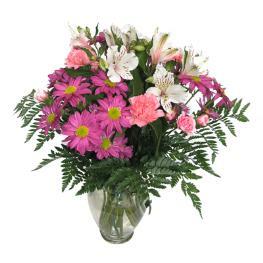 Luxury Flowers - Admiration Luxury Rose & Lily Bouquet.